More Products, More Products Products, More Products Manufacturers, More Products Suppliers and Exporters - Changzhou Raymond International Trading Co.,LTD. A pile driver is a device used to drive piles (poles) into soil to provide foundation support for buildings or other structures. 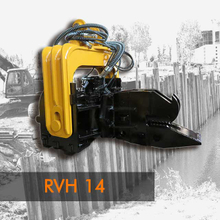 It is mainly used for excavators. 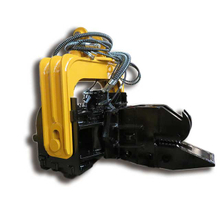 The excavator pile driver is mainly used for piling. 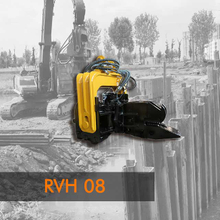 Hydraulic vibrating pile driver take the advantage of high of frequency vibration generated by motor and transit the vibration force to the hydraulic vibrating pile driver. 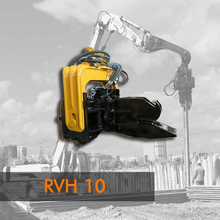 Lead to changes in soil around pile structure for vibration, strength decrease. Liquefaction of soil around pile body, reducing pile side friction and soil resistance, and under excavator pressure, vibration pile hammer and pile weight sank to the soil.